Metal hanger with shoulder supports and trouser bar. The whole surface area is covered with a colour-fixed non-slip coating. We use it for heavy suits, coats and leather clothing. 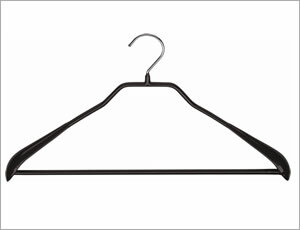 You can find our standard hanger below.